Ladies pullover with long sleeve. O-neck with big rib. Reglan sleeve. High cuffs sleeves and bodies. Volume knit. 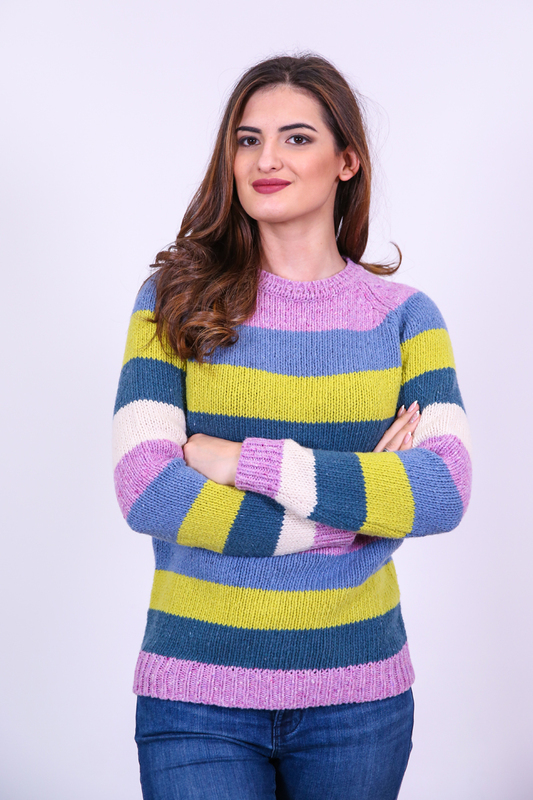 Find it in one colour combination- stripes with pink, yellow, petrol blue, light blue and white.